Coming from a family of psychics I have gained exposure to some interesting psychic experiences over the years. My Grandfather on my mother’s side was a Spiritualist and a brilliant psychic who gave ‘overhead’ readings at his local church. The term ‘overhead’ is similar in nature to that of ‘cold calling’. 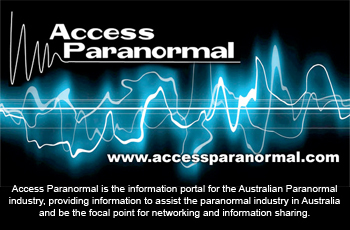 That is; you are accessing information from spirits you may not have established a working relationship with. Over many years my Grandfather spoke of his incredible spiritual experiences and he has given me a wonderful gift of understanding and an in-depth knowledge of spiritual and paranormal activity. My father’s family also dabbled with the spiritual realms but their approach was contacting spirits via séances and the Ouija board. I can certainly testify to some scary and hair raising situations during those times which has made me very wary of this method of contacting spirit. I noticed in one of the paranormal programs shown on television recently that they have been using the Ouija as a tool in ghost hunting, with very little explanation on its hidden dangers and the proper way in which it should be used. Strangely the Ouija given its dangerous qualities is sold as a toy in toy and game shops. In general, professional mediums and psychics tend to frown on the use of the Ouija, regarding them as a system that can easily be controlled by low astral beings which are probably intent on something other than providing accurate information. Ancient Romans used similar devices as early as the third century A.D., and in the thirteenth century by the Mongols. Some Native Americans used a “squdilate board” for the purposes of locating missing objects and people and to obtain spiritual information. The planchette came into use in 1853 in Europe. Planchette means, “little board” in French. Invention of the device is generally credited to a Spiritualist by the same name, M. Planchette. It consisted of a triangular or heart-shaped platform on three legs, one of which was a pencil. The user, usually a medium, would move the device over paper to draw pictures and spell out messages. 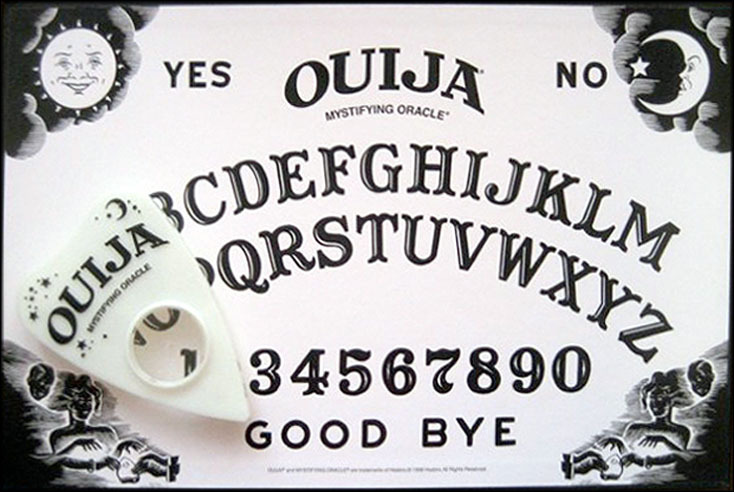 From skeptics point of view there can often be a logical and psychological explanation regarding the messages received through the use of the Ouija Board. The skeptic will assumed that these messages do not have any supernatural origin. From a psychological point of view the subconscious mind can use physical responses to reveal information that can be hidden in the sub conscious level of our mind. This is known as an ideomotor response. Ideo motor response is a concept in hypnosis and paranormal research. Based upon the precepts of the words ‘ideo’ (thought), ‘motor’ (action or activity) and response (in meaning respondant to stimuli) – the phrase is most commonly used in reference to the psychological activities that result in the muscular reaction, in humans, that may be presented as an abortive motion or even a reflexive reaction. It is strongly associated with the practice of hypnosis, whereby ‘yes’ or ‘no’ answers may be given by indication of a physical manifestation rather than a verbal one; such results are produced by ‘pre-suggesting’ the correct response and attaching ito either the left or right hand side of the subjects body. Examples of this are when using a pendulum to find an answer to a question, the pendulum swings in a particular motion to indicate a yes and no answer. Another technique using the ideomotor response is the healing practice of kinesiology. Muscle testing is done to identify imbalances in the body’s structural, chemical, emotional or other energy, in order to establish the body’s priority healing needs, and to evaluate energy changes brought about by a broad spectrum of both manual and non-manual therapeutic procedures. The ideomotor reaction in this case is using the muscle monitoring as a feedback system via nerve pathways and the meridian system of the brain and body. Ideodynamic methods of communication or signaling have been used and reported for centuries. Examples abound of the recording of trance work involving mystical visions, spirit writings, ‘speaking in tongues’ and ecstatic dance and ritual, and these demonstrate an awareness of ideomotor and ideosensory behaviour. Make sure your surroundings are comfortable and seemingly free of negative energies. Smudging the surroundings and the participants with sage is an excellent way to get rid of negative energies. Some people like to say a prayer/affirmation over the board – or do a protection ritual. You can also envision a protective white light of energy surrounding yourself, the board, and those you are working with, and even the room. Ask your spirit guide or higher self to protect you and bring you spirits to channel who are on higher frequency in truth and in light. You can ouija alone or with another person. If you ouija with others be sure they are not negative in their thinking. Determine who wants to use the board – and who wants to just observe. Decide which person will ask the first question – and if there is to be an order to follow for asking questions. If everyone wants a turn at the board it is best to go clockwise around the board with each person taking their turn. The time for each turn will vary with the spirit you have answering. People may be contacted by more than one spirit. Ask for one spirit at a time and always get a name before you begin. Most people will use their dominant hand to work the board, which in most cases is the right hand. You may also discover, as you work with the board, that you can subconsciously control the movement of the indicator – the same as using a pendulum. If you are not sure, close your eyes and allow the indicator to move alone. One of the first questions you might want to ask when you begin to work with your ouija board is the names of your spirit guides. They are the ones who are here to protect and guide you. Everyone has at least one spirit guide. You can start by asking for a message from spirit – or by asking spirit simple Yes or No questions to which you know the answer. Always start with general questions. Save the personal questions for later when you are comfortable with the spirit that you are working with. Stick to subjects with positive energy when you begin to channel through ouija. Once an answer is given you can ask for more information or clarification of the answer. But – you can only ask a question once! Do not continue to ask the question over and over to seek the answer you want. Questions can be about you personally – or universal or about any topic you think the spirit would like to converse about. If spirits ask you to do weird things or a negative entity comes in stop using the board immediately. Ask your guides to remove the negative spirit and make sure you close any portals that you have opened and close the circle down completely. Never use the board to control others – or have power over them.